Frugal Fitness: Proud To Be Steroid Free! 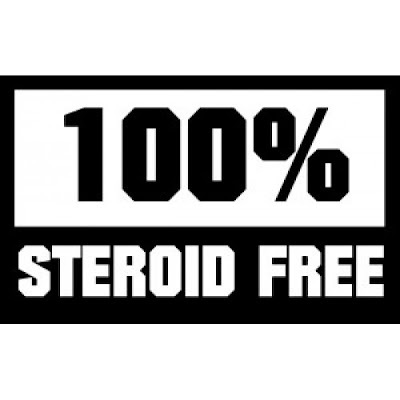 Proud To Be Steroid Free! Hey Frugal Fitness Fans! Thanks for checking out my site, hope you find some good stuff here that can help you save a ton of money while getting you in the best shape of your life! Now if you've been following my blog and videos, you know that I've made some mistakes and done some things I'm not proud of in my life. In many areas, especially in the past, I've tried to take shortcuts and gain any advantages possible. I've made as many mistakes as anyone, and don't look down on anyone for making them as long as they learn from them. 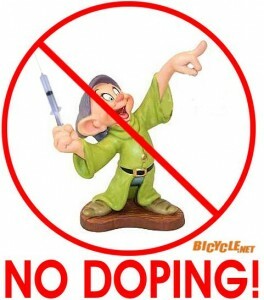 But there is one thing I am very proud to say I've never done: Steroids, HGH, Clenbuterol, Andro, other Pro-Hormones, or any other dangerous and illegal performance enhancing drug. Throughout athletics and an already somewhat lengthy career in Fitness, I'm proud to hang my hat on the fact that I've been 100% Natural the whole time and plan to stay that way for life. -I'm short, and already pretty bulky for my height, if I took HGH or testosterone I'd look like an Umpa Lumpa! -I want to be a good role model for friends, family, clients, readers, and viewers. -While I love Arnold Schwarzenegger, many other Pro Bodybuilders, and some other Pro Wrestlers / Athletes, that doesn't mean I agree with everything they do, especially when it comes to steroids and other drug use. This is what a steroid user looks like. No Thanks! Over the years it's been pretty interesting how many times I've been accused of being a steroid user by people that just don't know what they are talking about. Some people joke about it, but others are very serious. Yes I am strong and muscular, but not freakishly so. Yes I am somewhat lean and have gotten very lean at times, but not ridiculously so. To an educated individual, I am not even a border-line candidate for the the label of "Juicer" as I'm not really that ripped or muscular compared to other natural bodybuilders or fitness models. Sometimes I just have to laugh when someone asks if I took/take steroids but other times I feel it demeans and attempts to besmirch the physical training and nutrition I've engaged in since I was 7 years old. I try just to laugh it off but occasionally it gets to me. Luckily, anyone that actually knows anything about bodybuilding or steroids would take one look at me and know that I've never used in my life. It's pretty easy to guess if someone has used or is using steroids, there is not usually a grey area or big shadow of a doubt, especially in bodybuilding. So you can accuse me of "Juicing" or whatever you feel like, I'm just going to laugh more and more and let it bother me less and less. I make mistakes every day but taking illegal performance enhancing drugs is just not one of them and at least I can be proud of that. I hope you will all stay natural or consider going back to natural if you aren't already and avoid the health and legal risks.